This week features Wikipedia re-imagined, music makers and walkie-talkies. - Ever wanted to make your own music? Well, here’s a new app that will allow you to do just that. - Medly is designed for both new and experienced musicians. It breaks up your music into sections of one, two or four bars, allowing you to move them around and create different music combinations. - It obviously helps if you have some experience with putting music together, but it’s surprisingly simple to put together sounds. The drag and drop mechanics, as well as a quick and handy tutorial, gets you up to speed quickly. - It’s a free app that comes with 12 main instruments, but you can pay to add another 80 depending on the type of genre you’re interested in. - For those who see themselves as genius music makers. - Wikipedia is one of the most popular sites in the world, with a wealth of information available to you. But what if you’re not a fan of the main app. - If you want an alternative, you could download something like Viki which combines looks and design with its vast resources. - Alongside the difference in typography and style, you can find articles based on your location or explore other parts of the world. - The result is articles are easier on the eye and its a more vibrant experience. - For those who want a more pleasant reading experience and lose themselves in Wikipedia regularly. - Remember Voxer? 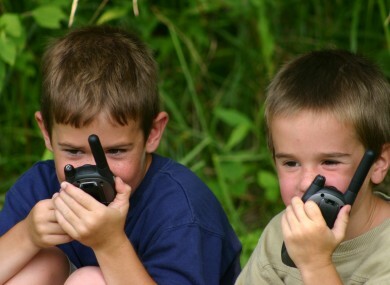 It was a walkie-talkie app which allowed you to share voice messages with friends (it’s still around by the way). - Roger is an app with a similar premise. Sign up, find your friends and share voice messages with them, even if they don’t use the app. - Messages last for 48 hours so they won’t end up missing it. It’s relatively easy on your data usage too, while keeping the audio clear. - Alongside that, the layout is easy to understand and you can jump into it pretty quickly. - Should you be on the lookout for another messaging app for yourself and your friends. - After introducing voice calls, WhatsApp is currently working on video calls but if you’re a little impatient, there’s another way around it. - Booyah offers that very feature for users, although it’s not affiliated with WhatsApp in any way. - It does what it claims to do. It allows HD calls but on top of that, you can chat with up to 12 people at the same time. The screen will change to fit them all in. - If there’s a drawback, it’s that your friends also need to have the app. If they don’t, all you’ll be doing is messaging them a link asking them to download it. - If you’re feeling impatient for video chat, then your solution is here. - Point and click games have settled in nicely on mobile and for good reason too. They’re easy to dip into, don’t require reflexes and the pacing is generally relaxed. - In the case of Love You To Bits, you play a boy trying to piece together his robot girlfriend again (honestly, it’s nowhere near as creepy as it sounds) after an accident rips her into dozens of pieces. - If you’ve played the likes of Tiny Thief, then you will know the drill. Look for ways to get around obstacles, complete a series of events and get the item you’re looking for. - Your journey takes you to numerous planets across the galaxy and while the logic behind certain puzzles might be a bit rigid (although not head-scratchingly difficult), the oddball cast of characters you meet, the premise and the delightful art style will keep you going. - A charming point and click game that may look childish but has a lot of heart.